Bajaj Auto has introduced the Pulsar 180F, a semi-faired version of the company’s Pulsar 180. The motorcycle was launched in India at an ex-showroom Delhi price tag of INR 87,450, putting it against the likes of TVS Apache RTR 160 4V and the Hero Xtreme 200R. In this post, we amalgamate the technical specifications of all three models. The new Bajaj Pulsar 180F was launched at an ex-showroom Delhi price tag of INR 87,450, putting it against the TVS Apache RTR 160 4V and the Hero Xtreme 200R. In terms of styling, all three motorcycles feature muscular looks and appealing visuals, but the Bajaj Pulsar 180F gets an edge due to its semi-fairing design with a vertically stacked headlight that draws inspiration from the Pulsar 220F. The semi-fairing design also offers better aerodynamics and windblast protection at high speeds. 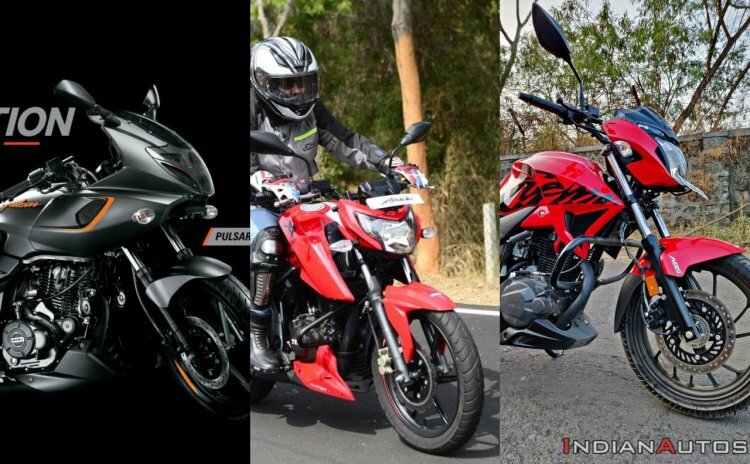 Surprisingly, the motorcycle is yet to receive the safety net of ABS (as on March 19 – when this post was created) whereas its naked roadster variant, the Pulsar 180, is ready to comply with the new norms. Similar to the naked roadster, the Pulsar 180F would feature a single-channel ABS with rear lift-off protection as standard. The carburettor version is yet to receive the safety net of ABS although that would happen very soon as the April 2019 deadline to comply with the new norms is less than two weeks (as on March 19 – when this post was created) away. The motorcycle features a single-channel ABS, and thus the rear drum version would be continued. The Hero Xtreme 200R lived up to the styling of the Xtreme family as the motorcycle packs a sporty look. The muscular styling is enhanced by fuel tank shrouds and beefy body panels that make the Xtreme 200R quite desirable. The bike is ready to ride across the April 2019 deadline to comply with the safety norms and comes standard with a single-channel ABS. In terms of performance, the Hero MotoCorp Xtreme 200R has the displacement advantage, and despite having a 2-valve engine, the motorcycle makes 18.4 PS of maximum power. The Bajaj Pulsar 180F makes 17.02 PS while the Apache RTR 160 4V delivers 16.5 PS with the carburettor and 16.8 PS with fuel-injection. The Apache RTR 160 4V is the only motorcycle among the three products in this comparison to feature fuel-injection technology. All three motorcycles use conventional telescopic forks. However, the Pulsar 180F comes with dual-sided springs while the Xtreme 200R and the Apache RTR 160 4V receive a monoshock at the rear. As on March 19, the Bajaj Pulsar 180F is yet to receive the safety net of ABS to comply with the upcoming norms. The ABS-equipped model is expected to carry a premium of approximately INR 7,000 over the standard model. Stopping power comes from disc brakes on both ends although the Apache RTR 160 4V is the only motorcycle that is available with the option of a rear drum brake, which is the most affordable variant (INR 83,145) in this comparison. The price tag would go higher with the addition of ABS. 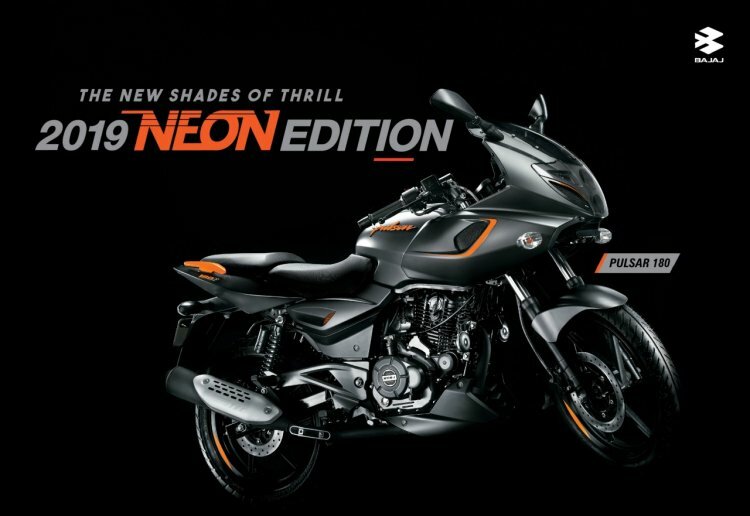 The Pulsar 180F carries an INR 87,450 price tag but remember that it is currently sold in non-ABS form only. With the addition of ABS, we could see a price increase of INR 6,500 to INR 7,000. The Hero Xtreme 200R is the most affordable 200 cc bike in the Indian market today, and it retails for INR 89,900.